As the new executive director of VHA Homeless Programs, I am honored to serve alongside the dedicated VA employees and partners who have helped achieve a nearly 50 percent reduction in Veteran homelessness since 2010. I know that by working together, we can ensure that every Veteran has a safe, stable place to call home. This is why I am excited to introduce the VA Homeless Programs Quarterly Newsletter, developed to keep you—our valued partners—informed and our collaborations active. Each quarter, this newsletter will highlight partnerships and innovative strategies that are generating positive results for homeless and at-risk Veterans and provide valuable resources, program updates, and information on upcoming events. Staying connected with you is essential to giving Veterans the hand-up they deserve. I hope you will find this newsletter informative and encourage you to use it as a resource for best practices and strategies that can be replicated and tailored to your community or business. Because all of us—the Homeless Programs’ staff and partners alike—are motivated by creative ideas and constructive feedback, we ask that you share both with us through the “Contact Us” button on the VA Homeless website (www.va.gov/homeless). I look forward to hearing from you and welcome you to the first VA Homeless Programs Quarterly Newsletter! Check out recent stories that highlight community partners’ efforts and best practices in serving and supporting at-risk and homeless Veterans. Links to the full stories are provided. Lack of affordable housing, highly competitive rental markets, and a shortage of landlords willing to rent to homeless Veterans are the everyday challenges cities face when trying to house homeless Veterans. Read how VA’s long-time partner, the National League of Cities, is working with landlords in various communities across the country to remove many of these barriers here. When he left the Army, Robert Dandridge never imagined that health and employment challenges would eventually lead to chronic homelessness. 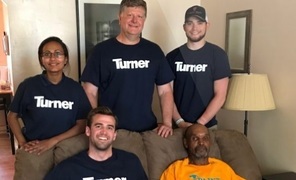 He turned to his local VA medical center for help, and then Turner Construction stepped in to help make his new apartment a home. Learn how Turner Construction’s DC office successfully worked with Dandridge’s local VA Medical Center here. 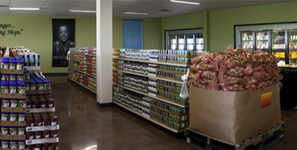 To ensure Veterans exiting homelessness have access to food, Army Veteran and Oklahoma City Homeless Program Coordinator Matthew Fox partnered with Goodwill Industries of Central Oklahoma and the Regional Food Bank of Oklahoma to create a “fridge fill” service. Learn about this strategic partnership and its impact here. When the Salem VA and Goodwill Industries of the Valleys brought “Bikes for Vets” to rural southwestern Virginia, this program helped Veterans exiting homelessness maintain employment and overcome the common barrier to exiting homelessness — lack of transportation. Read the full story here. Below are additional success stories and examples of how VA and our community partners continue efforts to prevent and end homelessness among Veterans. Share key messaging on ending homelessness among Veterans with your constituents through your various social platforms. We will provide new social content in each newsletter; however, you can also follow VA’s various social platforms and retweet or repost homelessness content. The VA Homeless website (www.va.gov/homeless) has resources and information about VA’s homeless programs, ways to get involved, and shareable content. Follow the links below to our new and updated resources. Solving homelessness among Veterans is a collaborative effort. Knowing that, we want to hear your thoughts, ideas, and feedback about VA’s programs and services supporting homeless and at-risk Veterans. We value your input as we know we cannot do this alone. Please share your thoughts with us on Twitter and Facebook, or by using the “Contact Us” button on the VA homeless website.